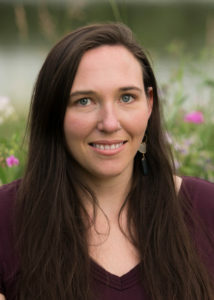 Jigen Lindsey Wilkinson is a contemplative psychotherapist who works from an integral framework, utilizing a strength-based and non-pathological approach, which seeks to bring forth each client’s intrinsic health and basic goodness. Jigen uses her background in Integral Theory and developmental psychology to help clients understand their developmental process as well as what obstacles might be in their path moving forward. Jigen has a playful and kind disposition, believing that every human being has the ability to heal and grow no matter what traumas or challenges they face. Jigen supports clients to recognize their own strengths in order to create more wholeness and to develop a strong integrated sense-of-self, increasing health in mind, body, and spirit. Therapy is a relationship that allows for an exploration into the deepest realms of the self and this is best done in a nurturing space where you can be honest and open. In a therapeutic relationship we create a language for the practice of self-discovery and growth in the spirt of mutual growth and recovery; this looks different for every person. Jigen uses many different techniques including: talk therapy, sand trays, somatic work, art, play, movement, gestalt, mindfulness, cognitive therapy, relational and attachment work. Jigen is a Buddhist practitioner with 15 years of experience. She’s worked at the Integral Institute in Boulder for five years. Jigen has a Master’s Degree in Contemplative Psychotherapy and Buddhist Psychology from Naropa University, Boulder, Colorado. In addition she is a certified circling facilitator at the Integral Center in Boulder. Jigen works with adults, adolescents, children, individuals, couples, and groups, focusing on issues including: anxiety, depression, social anxiety, self-esteem, relationship challenges, trauma/PTSD, family dynamics, LGBTQ issues, gender, body image, woman’s issues, eating disorders, addiction, sexuality issues, abuse, conflict mediation, attachment, grief and loss, health issues, death and dying, existential crisis, spiritual emergencies, or simply wanting to live a more full and actualized life. or schedule a free 25 minute session!